Today, a closer look at how income inequality splits along racial lines. Whites’ average household income is 56 percent larger than that of African Americans and 39 percent larger than that of Hispanics. 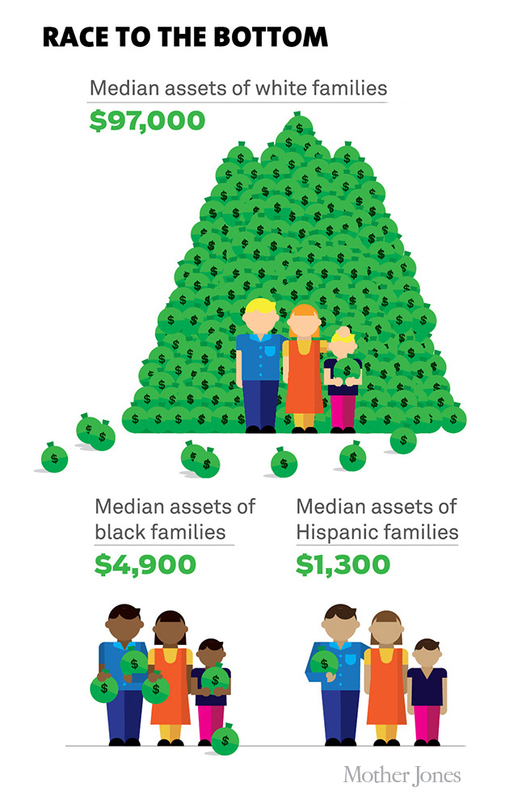 But the discrepancy is even greater when it comes to wealth: The median white family holds nearly 20 times more assets than he median black family and 74 times more assets than the median Hispanic family.